If you’ve seen a sea turtle, chances are it’s been on your television screen, swimming through the water with grace and beauty. Sea turtles are crucial members of our marine ecosystems, but did you know their numbers are in decline, with nearly all species listed as endangered?! From the fishing industry and ocean pollutants to the loss of nesting sites and poaching, the stress on sea turtle populations is high. 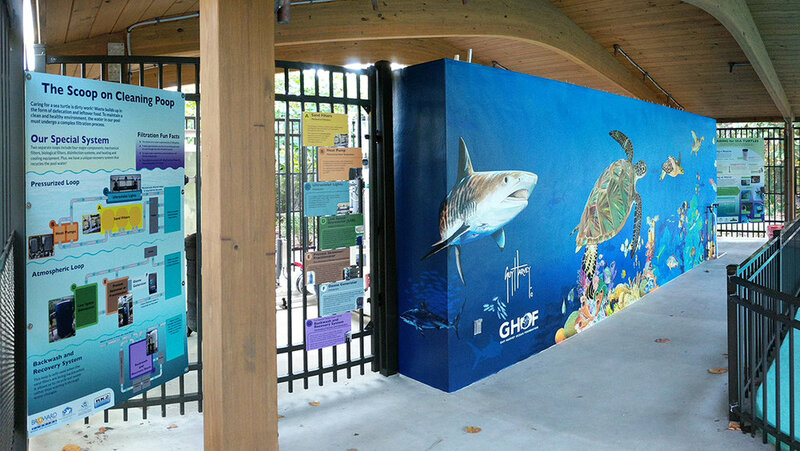 Wilderness Graphics joined forces with Nova Southeastern University and Broward County Parks and Recreation for change. 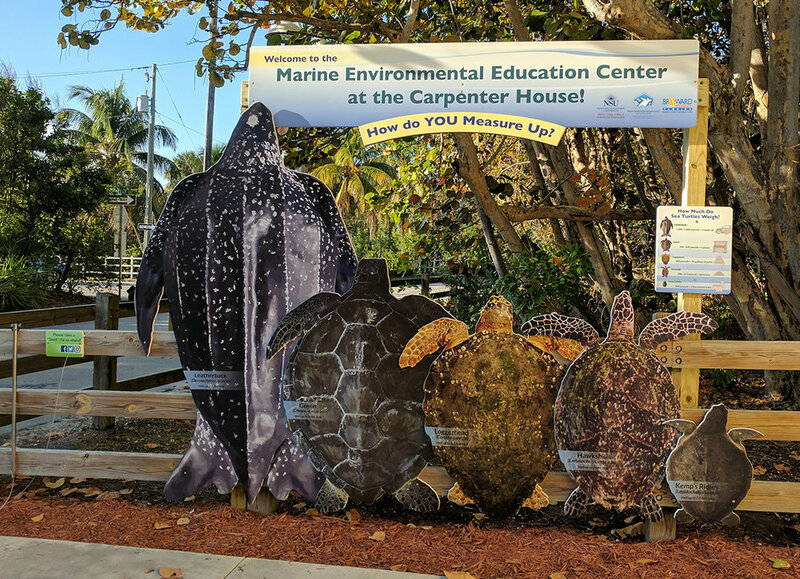 With the inspiration and dedication of our team, we created attention-grabbing indoor and outdoor exhibits for the Marine Environmental Education Center at the historic Carpenter House on Dania Beach, Florida. We crafted a replica crawl-through TED (a Turtle Excluder Device) for children, designed display drawers, developed engaging interactives and videos, and more! 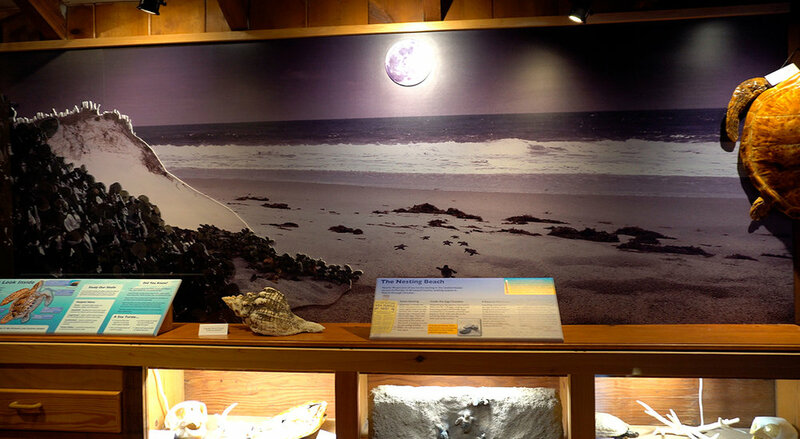 These winning displays educate visitors not just about sea turtles but about the myriad of marine life that shares our watery world. As proud custodians of the environment, we take great pride in our work on such an important project. Stay tuned for more as we begin Phase 2 at the Marine Environmental Education Center!